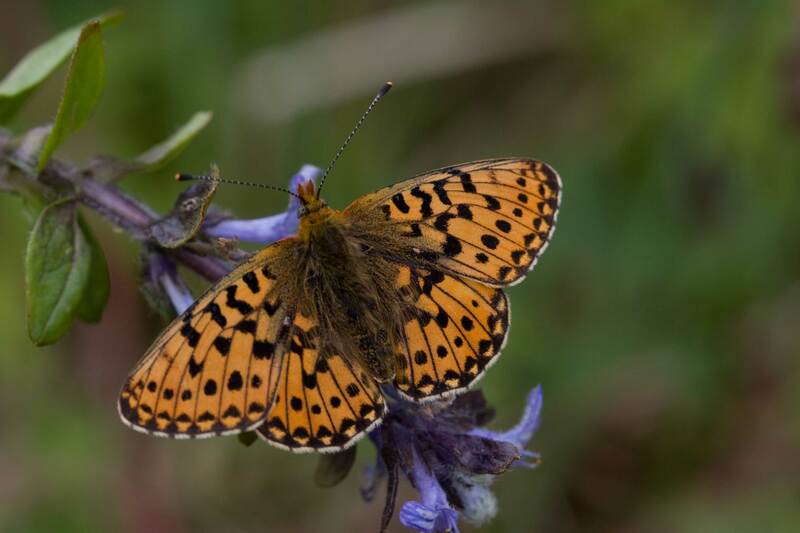 Like the Small Pearl-bordered Fritillary the underside of the hindwing is the key to identifying this species. A mosaic of pale yellow and shades of orange form the background. Seven silver pearls adorn the outer edge, with another one mid-wing and one close to the body. Between these two pearls is an orange cell which contains a black dot. Late April to early June.